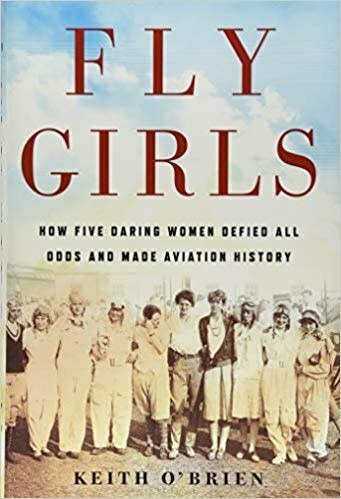 Fly Girls documents the untold story of five women who fought to compete against men in the high-stakes air races of the 1920s and 1930s - and won! Between the world wars, no sport was more popular, or more dangerous, than airplane racing. Thousands of fans flocked to multi‑day events, and cities vied with one another to host them. The pilots themselves were hailed as dashing heroes who cheerfully stared death in the face. Well, the men were hailed. Female pilots were more often ridiculed than praised for what the press portrayed as silly efforts to horn in on a manly, and deadly, pursuit. Fly Girls recounts how a cadre of women banded together to break the original glass ceiling: the entrenched prejudice that conspired to keep them out of the sky. 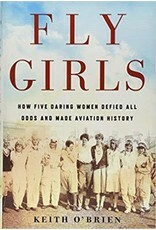 O’Brien weaves together the stories of five remarkable women: Florence Klingensmith, a high‑school dropout who worked for a dry cleaner in Fargo, North Dakota; Ruth Elder, an Alabama divorcee; Amelia Earhart, the most famous, but not necessarily the most skilled; Ruth Nichols, who chafed at the constraints of her blue‑blood family’s expectations; and Louise Thaden, the mother of two young kids who got her start selling coal in Wichita. Together, they fought for the chance to race against the men — and in 1936 one of them would triumph in the toughest race of all. Like Hidden Figures and Girls of Atomic City, Fly Girls celebrates a little-known slice of history in which tenacious, trail-blazing women braved all obstacles to achieve greatness. ABOUT THE AUTHOR: Keith O'Brien is an Award-Winning Journalist, a former Reporter for The Boston Globe, a regular Contributor to National Public Radio and Politico, and a critically acclaimed Author of Books about dreams, Americana, and where the two meet. He has written for The New York Times Magazine and reported stories for This American Life. He was a 2017 finalist for the PEN/ESPN Award for Literary Sports Writing. He lives in New Hampshire. High quality aviation and lifestyle products designed to enhance your flying experience and life!